Weʼre the regional gallery with big ambition. Welcome to Goulburn Regional Art Gallery. We are the region's hub for presenting, exhibiting and collecting contemporary art. Our program is big, bold and full of ideas that will provoke conversation and connection to the work of the artists we work with. We are a cultural facility of Goulburn Mulwaree Council. We are open six days a week with exhibitions that present what is happening now in Australian contemporary art. Our exhibitions inspire our education and outreach initiatives which engage everyone from littlies under five years old to senior members of our community. We run programs everyday both at the Gallery and on the road. We actively acquire works for our permanent collection and commission new work for our public art program. We are located at the Civic Centre on Bourke Street, but our accesible entrance is via Church Street. Admission is always free and the Gallery Store is fully stocked with a carefully curated selection of artisan items, as well as our Gallery tote bags and catalogues. Located right at the entrance is 'Snapshot', a space which presents the work of local artists 100% of the time. We acknowledge Aboriginal and Torres Strait Islander peoples as the traditional owners of these lands and custodians of country. Everything we do is for our artists and for our community. We want to make the arts part of daily life in Goulburn and welcome you to join our conversation. Local artists are supported at the Gallery everyday. We have a dedicated space at the front foyer, Snapshot, that exhibits the work of our local artists 100% of the time. For this program, we define local as residing within a 120km radius of Goulburn CBD. If you would like to be considered for this program, view the application requirements here. We assess applications periodlically throughout the year amd programming for 2019 is complete. We occassionally engage local artists to facilate workshops and programs too. If you would like to be considered for a workshop, send over your CV and area of practice. You must hold public liability insurance and have some prior experience. The Goulburn Art Award is a biennale award and will run again in 2020. Entries will open in 2019, dates will be announced here and via social media channels. We are inspired by the creatives around us which is why we have our Collection on permanent display at the Goulburn Regional Conservatorium, across various Council sites and at Workspace 2580 on Clinton Street. Both the Goulburn Regional Conservatorium and The Lieder Theatre offer our members a 10% discount on tickets. Each year, we support a graduating artist from the School of Art and Design, ANU through the Emerging Artist Support Scheme. We have worked with other organisations to present new programs and provide greater support for artists, such as Firstdraft, the Goulburn Correctional Centre and Southern Tablelands Arts. We are a facility of Goulburn Mulwaree Council. You can view policies here. Featured media releases are available here. Gina has been working in the visual arts since 2010. She has specialist skills in the development and delivery of bold creative outcomes for organisations and artists alike. Gina has delivered hundreds of exhibitions in Australia and abroad, working with artists at all stages of their careers. 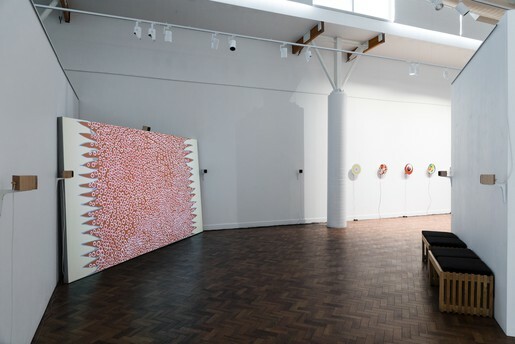 Prior to Goulburn, Gina was with Artbank where she worked to connect the public to the collection, which holds over 11,000 works. In 2015-2016 she was a Coodirector at Firstdraft, Australia’s longest running artist-led initiative and has worked at the Museum of Contemporary Art, Australia and Grantpirrie Gallery, Sydney. Under her direction the Gallery has launched its first touring initiative with Museums & Galleries NSW, undergone a significant audit of the permanent collection, unveiled an award winning new visual identity and evolved its programming towards supporting contemporary artists at the high point of their careers. Gina began at the Gallery in May, 2017. 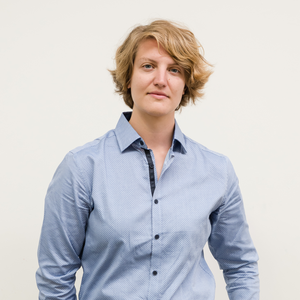 Hannah has worked with artists and objects since 2011. Her interdisciplinary approach to exhibitions stems from her experience as a practicing sculptor and animator working with excavation finds in the Mediterranean and Near East. 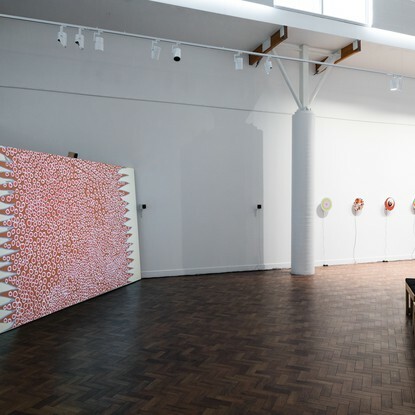 Under the University of Wollongong’s Faculty of Creative Arts and Project Contemporary Art Space, she was instrumental in showcasing hundreds of student and post-graduate works in sculpture, textiles, multimedia and design. 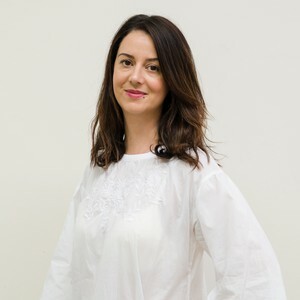 Her style of documenting artworks and artefacts through animation and interactive platforms has been applied to anthropological and archaeological collections in the Australian Museum, and to Cypriot collections in the Nicholson Museum. 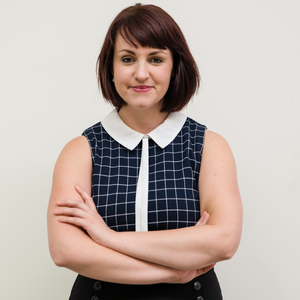 Hannah holds an Honours degree in Creative Arts and Multimedia from the University of Wollongong, and a Masters in Museum and Cultural Heritage Studies from the University of Sydney. Janenne has been with the Gallery since April 2001. She has always had an interest in art, design and fashion. Pursuing these avidly in her own time, Janenne brings a keen eye to the Gallery Store, of which she is curator. 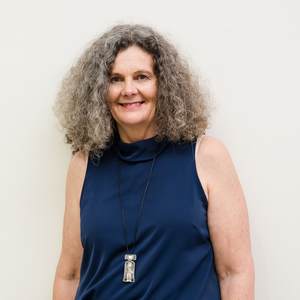 She has contributed to the delivery of thousands of exhibitions and programs in Goulburn and seen the Gallery through three decades of change and evolution. Prior she has worked in disability services, retail, hospitality, banking and farming. Janenne’s love and knowledge of the arts has been enhanced by her husband Andrew, a recognised woodworker who has pieces in collections around the world and a keen knowledge of art, sculpture, furniture and design. Janenne has also had the privilege of working with all three Directors of the Gallery – Jennifer Lamb, Jane Cush and Gina Mobayed. 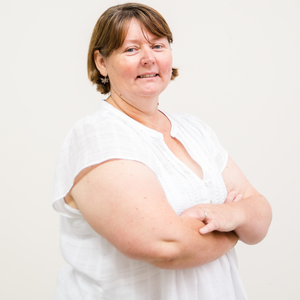 Sally has worked at Goulburn Regional Art Gallery as Education Officer since November 2013. She holds a Bachelor of Fine Arts from UNSW Art & Design and has completed formal studies in Education and Nursing. Combining her passions of visual arts and teaching, Sally has found her niche developing and delivering an ambitious Education Program to the Goulburn community. Sally’s work covers young people of all ages – Afternoon Art Club, Art Teenies, school holiday workshops as well as a host of tailored programs for schools. Sally works collaboratively with artists and brings contemporary art to the young people of Goulburn with sensitivity and flair. She also maintains her own artistic practice and exhibits locally. Her interests include painting, drawing, collage and sewing. Janet travels to outlying townships around Goulburn to provide Early Childhood Playgroups. She has a Bachelor of Teaching (birth to 5 years), a Diploma in Children’s Services (CBC) and has worked in the Early Childhood field since 2000. Janet uses her experience to provide a play based learning environment based on the Early Years Learning Framework where the children explore and create. Janet started in the Outreach Officer role in January 2017 and is key to the Gallery’s commitment to bringing creative education to those who may not be able to access the general programs.